3 Powerful Products in ONE! Over 100% Vitamins A & E! Low Calorie & Low Fat! No Sugar & No Gluten! I traveled to Ireland for two weeks. I took a canister of the SuperMeal, and felt fantastic while using it! It helped with jet lag and lack of sleep. SuperMeal will be part of my travels. Great product, thank you! Amazing! I finally know what to eat/drink in the morning. This is so complete and tasty, you can't help but feel like you've done the right thing for your body. Leave it whole with a little apple juice or blend it. I like getting the little surprises in my mouth like nuts and berries in each swig, so I leave it whole. 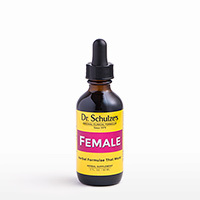 Thank you Dr. Schulze for this awesome product! Love the new product! It really helps sustain my energy well into the afternoon. No 'fake energy' feeling. Great for when I must get going quickly in the morning. Great flavor with fruit, etc. Thanks for bringing it out! 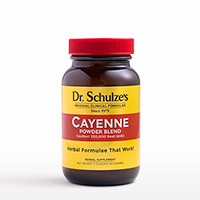 Mix 1/4 cup of Dr. Schulze's SuperMeal in a blender with 8 ounces of fresh, organic fruit or vegetable juice and 8 ounces of pure water. For Fewer Calories & Less Sugar... if you are trying to reduce your calorie intake to lose weight, or if you are trying to reduce your glycemic load, decrease the amount of organic juice and increase the amount of pure water. Add Anything Else You Like! To make it more like a smoothie, you can add a half or whole banana to this morning drink. Also, you can add any additional fresh fruit or vegetables, like more berries, kale and/or spinach and additional herbs, nuts and seeds. EVERYONE NEEDS MORE NUTRITION & ENERGY! 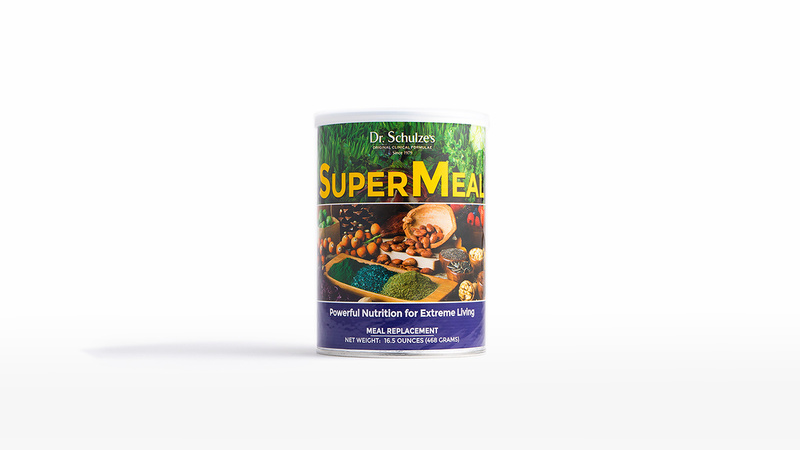 Dr. Schulze’s SuperMeal is a powerful blend of over 40 different miracle superfood ingredients. 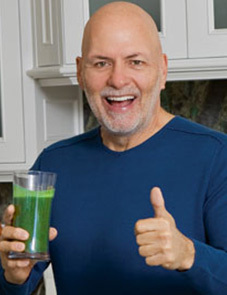 It combines three of his now-famous formulas—his nutrient-dense SuperFood Plus powder, his all-natural vitamin-C packed Super-C Plus and his fiber-rich HerbalMucil Plus! 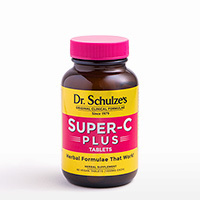 Additionally, Dr. Schulze included four more of his vitamin and mineral complexes, like his Cruciferous Protective / Nutrient-Dense Green Complex (with organic kale leaf, collard greens, brussels sprouts and Napa cabbage leaf), his Antioxidant Berry Complex (made with organic blueberries, blackberries, and raspberries), his Omega-3 & Omega-6, High-Protein Seed & Nut Complex (made with organic flax seeds, chia seeds, walnuts, sunflower seeds, almonds, pine nuts, and pistachios) and his International Superfoods (a potent blend of both black and red maca root, with cacao bean and eleuthero root). Just one serving of delicious SuperMeal, added to your blender with fresh, organic juice and pure water, will provide you with the essential nutrients needed for an entire day, leaving you full of energy and totally satisfied. Today, 94% of the Average American’s diet is comprised of animal-based and processed foods, while only 6% (or less) comes from fresh fruit and vegetables. This imbalance has led to the horrific rates of heart disease, cancer, and diabetes in our country, and has also contributed to the massive increase in obesity and ALL illnesses. 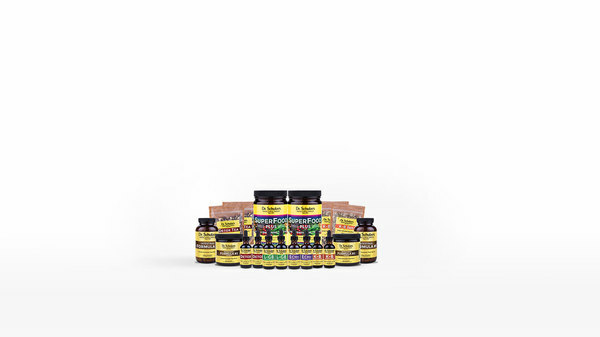 Dr. Schulze’s SuperMeal is raw, organic, nutrient-dense, vegan, low calorie and low fat, with NO added sugar and NO gluten! It is the perfect meal replacement to combat the Average American’s high calorie, high fat and low fiber diet.